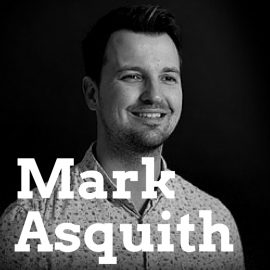 It’s my pleasure to welcome Mark Asquith to the show. He is founder of Podcast Websites and creator of Excellence Expected podcast. He’s got a really cool new product that he’s partnering with John Lee Dumas on and I’m anxious to hear about it today. Mark, welcome, how are you? Good, thank you, Jason. Thanks so much for having me. It’s my pleasure to be here. Well, the pleasure is ours and you’re coming to us from the UK where it is freezing cold, right? It is one degrees Celsius outside and I’m looking at the snow. Oh boy. Well, let’s turn up the heat a little bit and talk about profiting with Podcast Websites. How did you come to develop it and what does it all do? Podcast Websites is something that is a reaction to, I guess, my own podcasting journey. So, I’m a WordPress developer in the past, I’ve founded a designing digital agency called DMSQD, which put me in the position of being able to create a fantastic platforms and fantastic things for people in the digital demand. So, when I came to launch Excellence Expected, of course I had to build a podcast website and going through that process I realized that there were so many desperate systems out there and there were so many questions around, you know, what plugins do I need, what’s the best theme to use, and actually, can I use this particular plugin with this particular theme, and there were so many desperate elements to creating a WordPress website on top of needing things like web hosting, domain names, email management, and so on. I thought, well, it’s alright for me because that’s what I do, but wow, there’s so many people out there that just don’t do that, but still really want to benefit from WordPress. They don’t want a proprietary fully hosted platform that won’t let them grow and expand as their show grows, so came up with the concept of PodcastWebsites.com. I kind of got to know John Lee Dumas obviously through Entrepreneur on Fire, big influence on my listening habits, but I guested on Entrepreneur on Fire and just prior to that I ran the idea past him and said, look, we’ve got something here, can we do something to provide masses of extra value to people just want a really high quality podcast website, you know, these are some ideas of how we can enhance WordPress and build upon that specifically to solve podcasters’ problems. So, why do you need a website specifically for podcasting, I mean, isn’t it just a website and you have a page with a list of all your shows on it or what are some of the problems podcasters face. I appreciated what you said, Mark, about conflicting plugins and so forth. All of us deal with that and it’s a nightmare, but what are some of the specific podcast issues that you address? The biggest one really Jason is the fact that there are so many desperate and moving parts when it comes to rigging up a WordPress website for podcasting and so, of course, you’re going to need a podcast host, you’re going to need a web host, you’re going to need all that tied together somehow and for a lot of people you do end up managing three or four different platform just to get your podcasts out there, so that’s one of the big benefits of podcast websites is, you know, we want to pull everything in together so that you’re within one support network, you are within one service base. You’re within one set of services and a big platform that can support everything you need with a drag and drop interface, you know, there’s no more uploading media files to one place and then pulling them in else where, it really is drag and drop your media files and it’s all done for you and then all you do is you’re saying, absolutely correctly is creating the content on the pages, creating your text, but more than that, the biggest problem that many people find is that actually they need that support when it comes to WordPress and they just don’t need WordPress support, they need WordPress support in the context of what they do. So, for a podcaster, it’s very much around, okay, this is what I’ve tried to do with my podcast and it’s not quite worked how I expected to work, so rather than popping a support ticket in with an external platform where you have to log in to their system and you have to feed it through their support network and actually talk to someone that doesn’t perhaps doesn’t understand podcasting. With Podcast Websites, with this service, you can manage everything from your WordPress admin interface. So, everyone who works on WordPress, logs into the WordPress admin interface, but with this platform, you will be able to raise, for example, support tickets, all from the back-end of WordPress and talks to someone that deals with podcasting and WordPress. That’s pretty cool. Okay. So, do you have phone support or is it strictly email support? It’s going to be strictly email support, because the global niche of Podcast Websites and, to be honest, where we’re situated in the UK, we intend on providing the electronic support as a first hand, but what we also do and this is part of the founding members beta testing, you know, there will be opportunities to contact me directly via the Facebook group and also my lead developer Kiran Mckeefry (#5:59?). He’s also in the Facebook group. So, whilst it is electronic, it is very, very personal and the support is something we are really putting a lot of focus on because it’s not just WordPress support, it’s not just podcast support, it’s people that actually do this for a living and actually enjoy both elements of podcasting and WordPress. So, you know, it really is a fantastic platform for that support to learn. So, Mark, when you use a podcast specific WordPress site like yours, do you lose anything that you might otherwise have? Do you have to give up anything that you might otherwise have on a traditional WordPress website? Absolutely not. So, what we’ve been very, very careful to do and to put this into some context before I gave you the answer, Jason. The studio that I run DMSQD is pushing WordPress to its limits. I mean, we make it do things that it’s not used to be able to do. We really make it work and it’s a fantastic platform and the reason that I say that is to put into context my next statement, which is podcast websites is been built upon WordPress, so if you already have a WordPress website, following the beta testing, we will be opening that up to allow people to migrate their WordPress site in to podcast website with a very easy to use migration tool and obviously the support that you eventually come to expect from us and what that will enable you to do is take everything that you already know, you will be able to use your own themes, your own plugins that you are so used to using, but add that extra level of podcast support, so you’ll get the admin interface that Podcast Websites delivers, you’ll get the support network, you’ll get access to configure your email account to view your invoices, to renew your demands, to manage everything all from the WordPress back end. So, to directly answer the question, you won’t lose anything at all, you’ll actually just add all of the benefits of Podcast Websites onto what you already have. And the specific benefits are that you don’t need, for example, SoundCloud or any other host or Amazon S3 to host your media content, right? It’s hosted right…because yours is a hosted solution, it’s basically a theme and a host, all around together, right? Well, it’s actually..yeah., in a nut shell, yes. It’s actually more than that, so you’re right what you’re saying definitely. If you don’t want to use Libsyn, then we can host your podcast media for you. We will give you that drag and drop interface. However, we’re not naive to the fact that so many people use Libsyn and they use SoundCloud and actually the thought of migrating from them can post some worry, there’s no doubt that any migration, you know, can cause some worry, especially when you run a podcast business. If you monetize and if you podcast, it’s vital that you keep that seamless kind of process moving. So, we’ve made our system seamless in terms of hosting. Yes, we can host your podcast media, but look, if you have Libsyn, if you have SoundCloud, it will work with that as well and there will be a specific plan for people that want just the WordPress site or people that want the WordPress and the podcast hosting. So, that’s very important to it, is to make sure that we’re not alienating anyone and just to pick up on a note that you mentioned there about the theme, the way that the system works is that actually we don’t want to dictate what themes you guys can use. Yes, we have some theme that are built on the Genesis framework and we’ve got some extremely exciting things coming up with theme builders that you guys will recognize. I won’t name names right now, but theme builders that you guys will recognize and of course you can use those, it’s all part of the investment, but if you want to use your own theme, if you’ve got a friend who is a WordPress theme developer and you want to take advantage of everything that Podcast Websites does over and above theming, then yeah, of course, you can use your own theme. So, it really is the flexibility of your own WordPress website with the support, the podcast enhancements that service will bring. It really is a really high quality solution. What else should we know about it, Mark? We’re going to be moving into closed beta in February 2015 and that’s something myself and John are working really, really hard to make it the best it can possibly be and if you guys are founding members, if anyone listening out there has signed up to the early registration of interest list, you will become a founding member and all the information will be presented in due cost, but the guys listening out there that are kind of curious and thinking, well, look, I’d like to get involved in this, I’d like to see what this is all about, we will be opening up registration of interest towards the back end of quarter one, 2015, as well. So, to the general public, you guys can get it involved in that and one of the biggest things I really just wanna get across, Jason, is the fact that this is a very, very serious platform. It’s had a heck of a lot of authority. It’s not just WordPress developers. It’s John Lee Dumas who, you know, he worked in podcasting day in, day out. Everyone knows what he has done for himself, for his listeners, and for podcasting on the whole and we work extremely closely to make sure that everything you come to expect from Entrepreneur on Fire, from Fire Nation, from Podcasters Paradise. All of that value, that quality, that personal niche, that will exist within Podcast Websites. So, it’s a very assured platform. Talk more about some of the problems that people have. I mean, it sounds like the support for WordPress, the media files being hosted in one place, very convenient, other problems that podcasters face that you’re solving? Okay, well, let’s talk actually a little bit around the, let’s talk about the kind of road map, you know, where we see this going, because one of the biggest problems that most, I guess, most podcast websites have is that there are other things that are on the peripheral of a website that actually, does this kind of task sit with a website or does it outside? Do I need another system for this? So, as an example, things like be able to set goals for downloads, being able to manage the entire download history, being able to look at the podcast listener stats all from within one podcast dashboard. Imagine being able to have podcast listener stats right next to Google Analytics stats. Think how powerful that is to be able to say, well, look, I had Jason Hartman on my show this week and wow, look, the listeners increased, the downloads increased, and so did the Google Analytics stats. That’s a really powerful set of metrics to tie together and the other thing that we’re working towards is the support for iOS and Android apps, so offering Podcast Websites apps, which again, we’re just working on this, but a sneak peak for the listeners, things like being able to color scheme, set the color scheme of your iOS app from the back end of your WordPress dashboard, so that when the next time you launch that app, you’ve changed it from red to green. The app is green. So, it’s real interesting stuff. I mean, these are all things I just think to myself, wow, wouldn’t it be great if I could do that? Okay, so, Mark, I just want to be clear though, is the app part of the program? When someone becomes a subscriber, do they get the website, the hosting, and then app or is the app something in the future? It’s going to be something in the future and it’s something that will be a bolt on investment, but it will be an extremely manageable monthly cost and the value that you’ll get back from that will be extreme compared to that investment. So, it will be a bolt on later on, but it’s not going to be anything that makes you think, wow, not sure about this. It’s all going to be manageable. Okay, anything else you want us to know? Well, if I’m honest with you, I think it’s just about the proof is in the pudding. I’ve been really keen to hear what you guys think, what the listeners think about the concept and if anyone is a founding member, we value that feedback, so, so much. Please do get involved and that’s our currency at the minute, you know, feedback. So, all I can ask for really is honestly. Right, good stuff. Well, I’m looking forward to it, I’ve signed up myself and can’t wait to start using the product. If you have multiple shows or network like I have, I have 19 different shows now, is there a way to do that? Do you do that under one WordPress site or do you have multiple subscriptions and are there hosting limits and questions like that I’m sure you’ve been asked. Yeah, that’s something we’re just working on actually. The short answer is that will be supported in the future, it won’t be a version one, but it will be supported in the future and the real challenge for us is making sure you’re only managing one account, if you like. Now, that’s not to say you won’t be able to manage several websites, but the real important thing for us is you’re only managing one account and that’s what we’re working very hard to crack at the moment. We do have that in place, but I think that’s probably a conversation for a face to..
Makes sense to me, makes sense to me. Share some of your tips and learnings from your own podcasting journey and tell us a little bit about your show. Alright, thank you. Thanks for the chance to discus this actually. It’s a real passion of mine. Excellence Expected is my podcast, which sets out to achieve a very specific goal and that goal is to help Entrepreneurs and business owners on the cold face running the day to day businesses, define, challenge, and conquer some of the day to day issues that they’re facing and we’re all facing the same kind of issues. What I do, yes, it’s an interview show, but I want to do is take on board some of the world’s finest thought leaders, the finest entrepreneurs in the world, people like John Lee Dumas, New York Times bestselling authors, we’ve got Dragon’s Den Dragons, we’ve got Guy Kawasaki from Apple, from Google. What we do is each episode is a specific challenge, a specific topic, and each guest will deliver the background to the problem or the topic at hand and we’ll deliver at least three actionable takeaways. So, things that you can do as a listener straight away following that podcast finishing you can implement changes within your business, within your daily routine or your personal life to overcome these issues. So, Excellence Expected is a lot of fun, I do enjoy it. I’ve got some great guests coming up and yeah, it’s something I’m really passionate about. What episode number are you at now? We are just releasing on Monday episode, as we record this, episode 27, which actually features Mr. John Lee Dumas himself, which is quite an interesting chat about building your 1,000 true fans and we’re actually booked up up to around episode 60. We’ve got guests lined up until episode 60 on the show. So, it’s going well. It’s been launched since October 2014 and yeah. Big plans for that in the future. Are you using a guest intake form or a guest pitch form for your show? Okay, so the guests are directed to a link and they fill out a little application, if you will, or pitch, is that it? That’s exactly, yeah, so, that’s available at MeetMe.so/MarkAsquith, I use ScheduleOnce for that, which is superb system. Yeah, I wasn’t really asking for that purpose, but why I was asking is I’m wondering if any of this back end work flow integration will be included in your podcast hosting product, because that would be interesting. There’s a lot of work flow issues I think could be resolved too. I can’t give too much away, but I can tease is as we’re talking, I’m looking at the potential future road map for Podcast Website and a lot of it is around simplifying the podcasting work flow, absolutely. Good stuff. Mark, give out the website for this, is it just PodcastWebsites.com? No, just thank you for the chance and thanks to the listeners for listening and giving me the time of day and really appreciate that and as ever as I say, feedback is our currency at the minute, so please do check out PodcastWebsites.com and let us know what you think. Mark Asquith, thanks so much for joining us today.